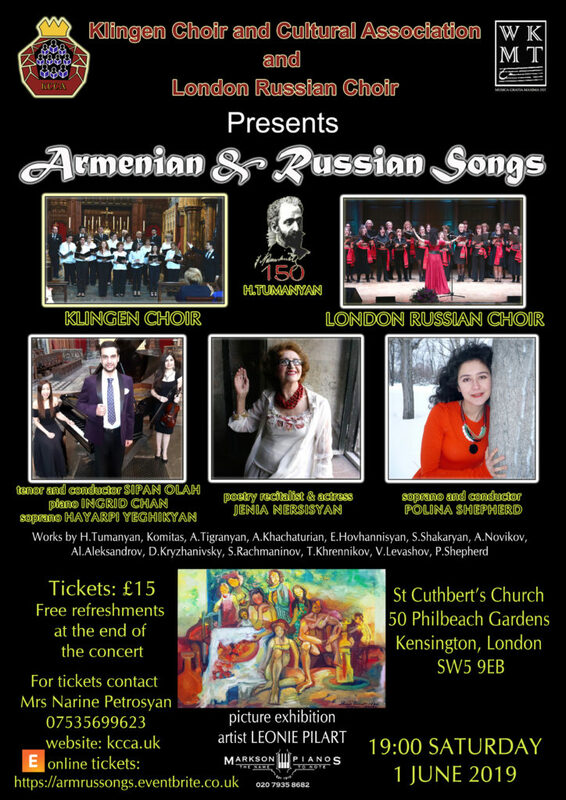 London based Armenian Klingen Choir and Cultural Association (KCCA) and London Russian Choir (LRC) are collaborating for the first time to present a spectacular programme of Armenian and Russian songs performed by both choirs at the magnificent St Cuthbert’s Church in Kensington. Tenor, Conductor Sipan Olah from KCCA and Soprano, Conductor Polina Shepherd from LRC are going to conduct their choirs and perform unique solo pieces themselves. There will additionally be solo performances by soprano Hayarpi Yeghikyan and pianist Ingrid Chan. Well known poetry recitalist and actress Jenia Nersisyan will present a poem by the great Armenian writer Hovhannes Tumanyan. It is the 150th birth anniversary of the magnificent writer and most of the Armenian songs of this event are based on his lyrics to highlight his legendary literary heritage. 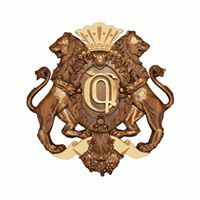 Acclaimed artist Leonei Pilart will present a picture series of 6 paintings on canvas in Armenian themes. 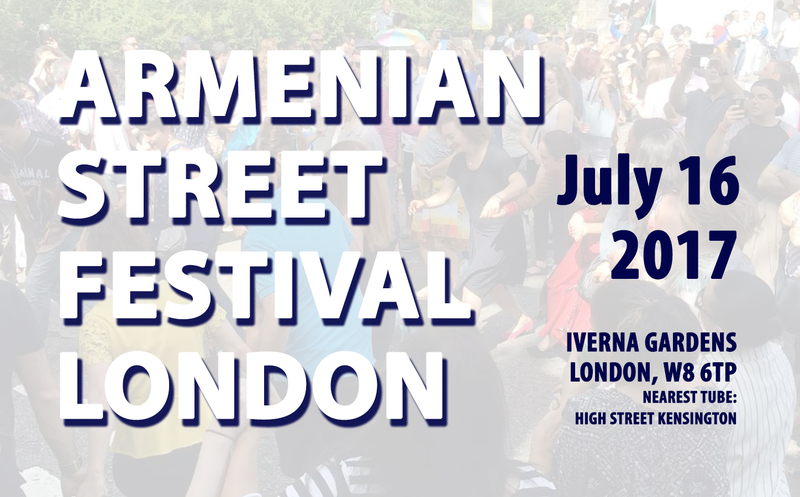 The concert will finish with two joint songs by the Armenian and Russian choirs performed in Armenian and Russian and will be followed by a reception during which people can enjoy the picture exhibition. Article from “Armenians today daily newspaper of the Ministry of Diaspora of the RA” about our two events in London during march. 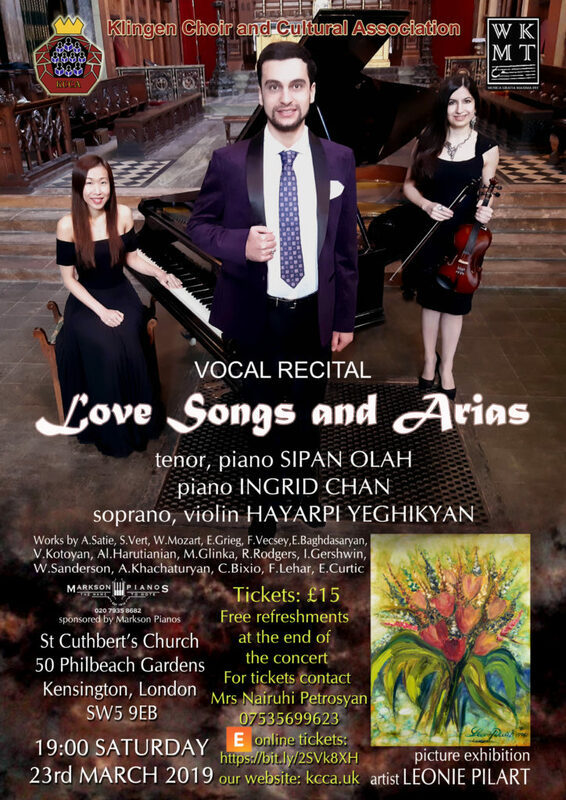 Well-known tenor, pianist Sipan Olah together with soprano, violinist Hayarpi Yeghikyan and pianist Ingrid Chan are presenting a vocal recital of 17 love songs and opera arias in 7 languages. This is Sipan Olah’s first recital in the UK in 2019 after his return from Malta, where he performed in 43 concerts and operas in the year 2018. The concert will be followed by a picture exhibition of artist Leonie Pilart who will present a series of 5 pictures of flowers on canvas. Hayarpi Yeghikyan will play 2 violin pieces accompanied by Sipan Olah and a piano piece for 4 hands will be performed by Sipan Olah and Ingrid Chan. The concert will finish with two duets and will be followed by a reception and people can enjoy exhibition. 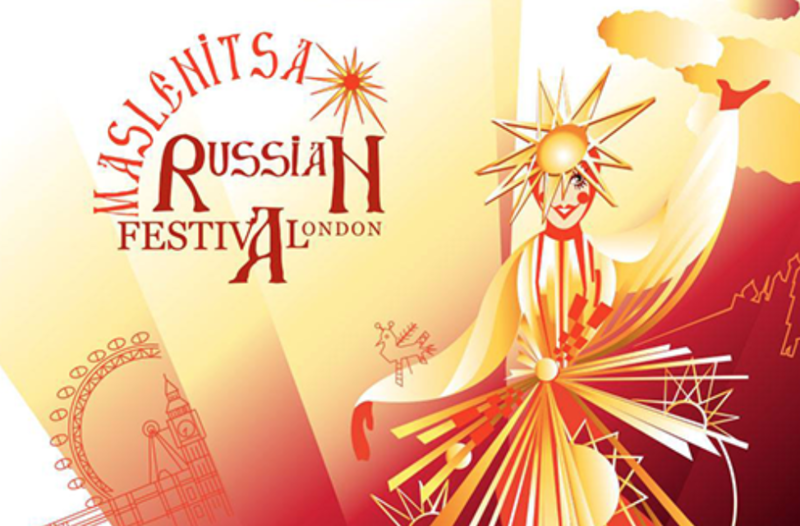 On the 15th of March at 7pm Klingen Choir and Cultural Association will be performing in a concert organised by Russian community in the UK and perform Armenian and Russian songs in the heart of Westminster. The program will also include a solo performance of a Russian romance by our conductor-tenor Sipan Olah.